Roof leaks are the worst. They may start as simply too much moisture because of small holes on your roof, but before you know it, you’re dealing with water-damaged walls and roof shingles. The best way to prevent this major issue is to do preventive maintenance, but in case the leaks are already in full force, you should track down where it’s coming from. Sentry Exteriors, one of the leading roofing contractors, gives tips on how to trace a roof leak to its source. The yellow brick road leading to the root of the problem is the water stains on your attic ceiling. These water stains mean your roof has one concentrated area where water infiltration is happening. In the absence of water stains or marks, take a look at your roof flashing condition. This roofing component covers the seams of chimneys, skylights, and other protruding roof parts. If left neglected, it might allow rainwater to get into your home. Flashings are more likely to be the source of roof leaks because of how vulnerable they are against a large volume of rainwater, especially wind-driven rain. Likewise, clogged gutters also pose a threat because water may simply back up the fascia and penetrate the innards of the roof. The difference is, not all gutter systems have protection to minimize clogging. To remove the threat of water damage from gutters, have your gutter system equipped with quality gutter guards that we at Sentry Exteriors offer. This method involves using a garden hose to spray water around your surface and having another person inside your attic note areas where the water is coming through. It’s better to enlist the help of your trusted roofer for the hose method in locating leaks. It’s not safe to climb on top of a roof on your own without proper safety gear or training, which our expert roofers have. The best way to combat roof leaks is to hire a professional who knows how to get the job done. 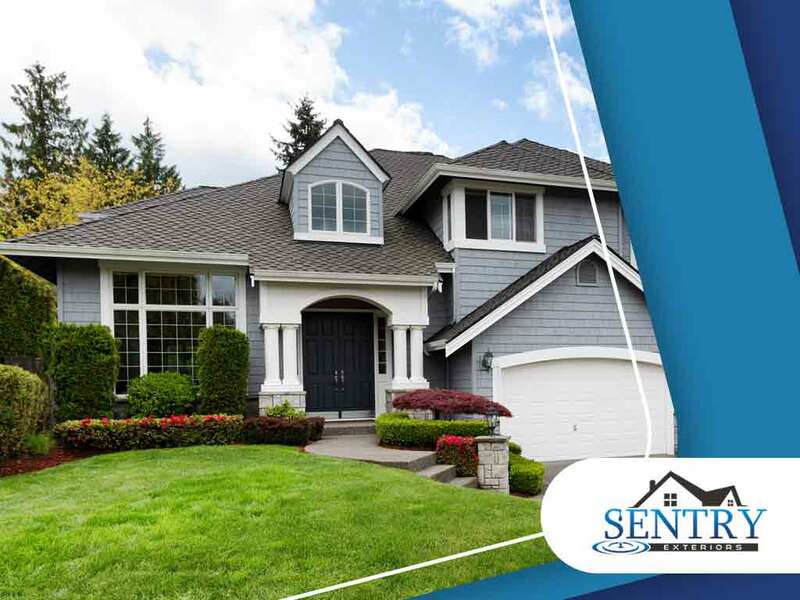 Sentry Exteriors, one of the leading roof and gutter companies, provides quality craftsmanship and materials in all the roofing projects we handle. Call us today at (434) 333-7753 or fill out our contact form to request a free project estimate. We proudly serve homeowners in Lynchburg, VA, and other nearby areas.